Chinchón is not Paris. It’s not Ibiza. It’s not even Grenoble. It’s a sleepy, provincial Spanish town an hour’s bus ride out of Madrid, and not where you would expect to find the great Orson Welles at the mid-1960s height of his European expatriate fame. 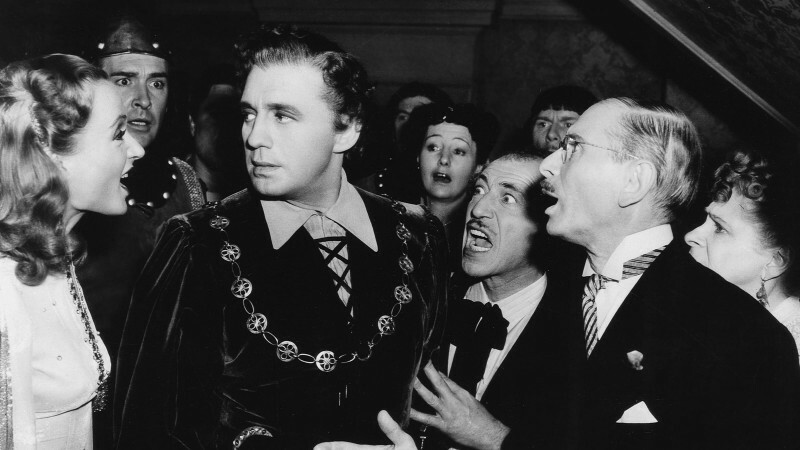 But that’s where he purportedly was, for at least some amount of time, while filming Chimes at Midnight, his brilliantly idiosyncratic take on Shakespeare’s Falstaff, and The Immortal Story, a romantic drama made for French television that was his last completed narrative film and his first in color. 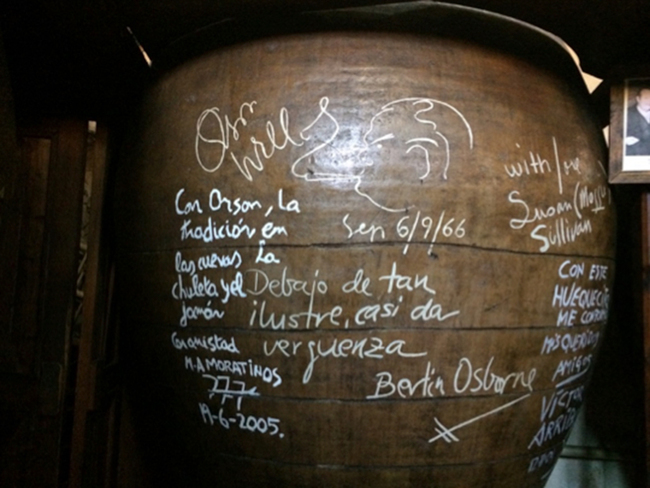 On a trip to Madrid this past June, I was eager to make the trek out to Chinchón to learn more about the nature of Welles’s time there. 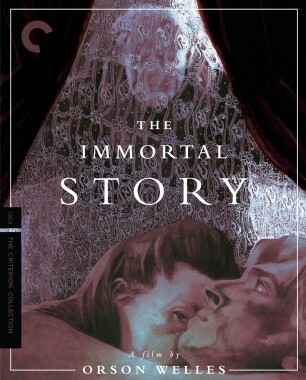 My initial research on the films, conducted from the Criterion office in New York, had led me to the conclusion that certain scenes in The Immortal Story were shot in Chinchón in October 1966. But several aspects of Chimes’s production history remained unclear to me. According to multiple sources, principal photography on that film ended in January 1965, a year and a half before the Immortal shoot began, although a number of pickup shoots took place in early 1966, in the rush to have Chimes ready for its premiere at the Cannes Film Festival in May. Several sources, including the National Geographic Traveler guide to Spain, listed Chinchón as a location for Chimes, and I was hoping to nail down when exactly the film had been shot there, and which scenes featured the town as a location. While still in New York, I had also learned that the medieval Chinchón, with its unique desert topography, had attracted a surprising number of international film and television productions, including 1956’s Around the World in 80 Days. Before my trip, I called the Chinchón tourism office, and the person I spoke to told me the town was indeed a shooting location for both Chimes at Midnight and The Immortal Story. He also encouraged me to come and take a tour of the town and to reach out to Mesón Cuevas del Vino, the winery and restaurant Welles and his crew frequented between takes. Excited about the possibility of meeting people who had seen Welles in the flesh, I arrived in Chinchón one boiling-hot afternoon with my colleague, Criterion producer Kate Elmore. 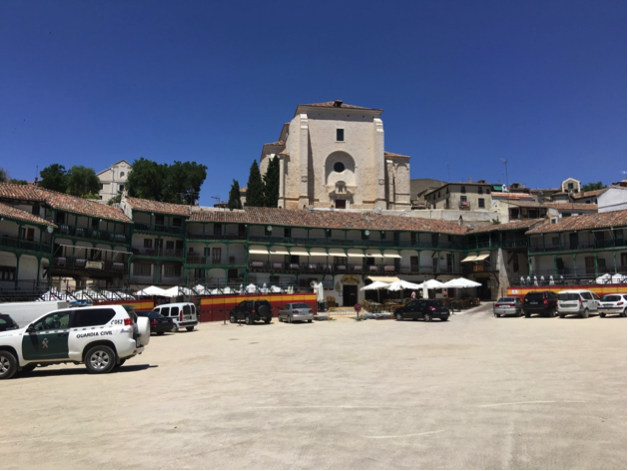 We crossed through Chinchón’s famous Plaza Mayor, a central public space encircled by bleachers that hosts parties, dances, bullfights, and a plethora of cultural events. This is a major setting in The Immortal Story. Welles stripped it clean and transformed it into the port of the Portuguese colony of Macao by hanging signs with Chinese characters and sails to give the impression that the ocean lay just below the frame, though the town is landlocked. Despite changes to its decor over the decades, the plaza, with its oval shape, is easily recognizable from the film’s opening moments. We then went to Mesón, a seventeenth-century building that sits a few cobblestoned blocks off the plaza. It is the oldest restaurant in town and, back in the sixties, was the only one in operation. 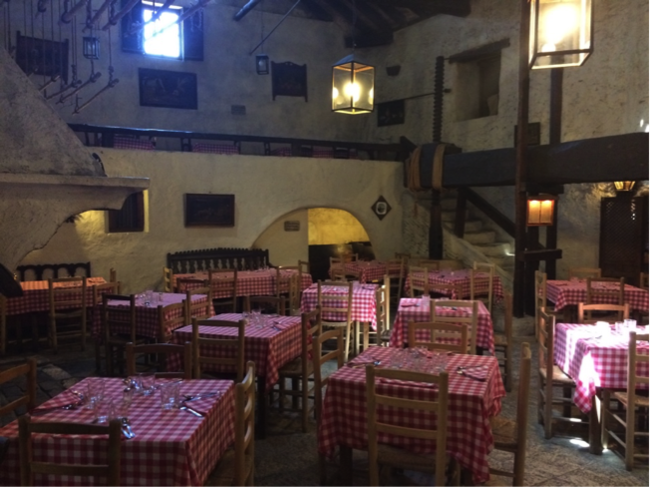 In the central dining hall, we were greeted by the restaurant’s current owner, Narciso, who inherited the Mesón from his parents. Over the decades, the restaurant has served dozens of diplomats, politicians, and film crews. Photographs and chalk signatures line the walls of a smaller dining hall. While we looked at the signatures—Welles’s is easy to spot, not too far from Geraldine Chaplin’s and Carmen Maura’s—Narciso disappeared and then returned with the oversize chair the staff would fetch for Welles. According to Narciso, who was a small boy at the time, the Chimes production shot in Chinchón over the course of three to five days sometime in 1966. Welles would show up with his entire crew every single day of the shoot. The filmmaker always ordered the same meal: bean and chorizo stew, followed by a 700-gram churrasco steak, cooked rare, which he washed down with the house red, fermented in caves below the restaurant. Kate and I attempted the same meal, but the 350-gram churrasco was more than enough for both of us. 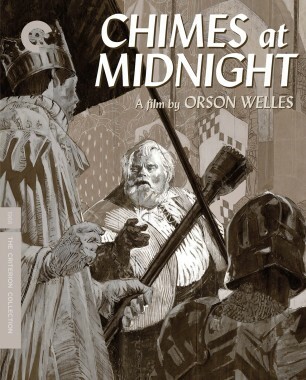 If it was true, as my research indicated, that Welles’s Chinchón shoot for Immortal had taken place in October 1966, months after the premiere of Chimes at Cannes, the three-to-five-day period during which Narciso said the filmmaker was shooting Chimes there could not have been part of the same visit. Narciso didn’t mention any other visits from Welles, and because what he told me was based on vague information passed down through the decades, my conversation with him left me still unable to pinpoint the details of Welles’s time in Chinchón for Chimes. I was hoping the tour I’d scheduled could shed some light on the matter, but the tourism bureau offices were empty by the time we arrived from the Mesón. It was three on a summer afternoon in rural Spain, and everyone had gone home for lunch. 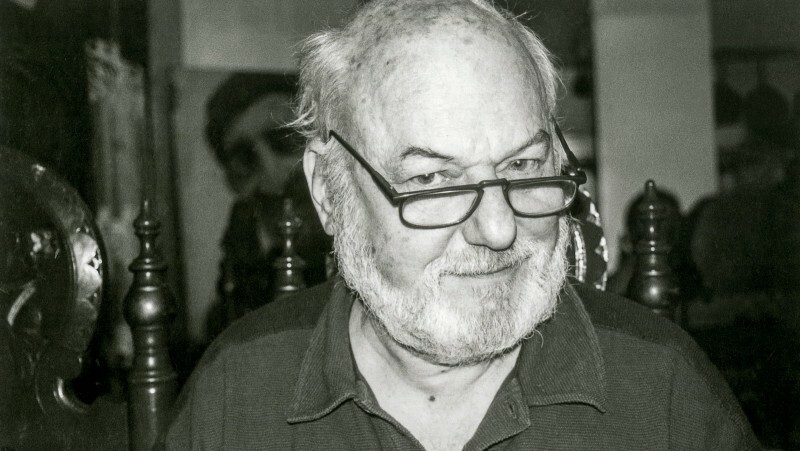 Still curious, I reached out to prominent Welles scholar François Thomas, a key contributor to the Criterion releases of Mr. Arkadin and The Immortal Story, to see if he could provide me with any insight into my questions. François confirmed that Welles had used Chinchón as a stand-in for The Immortal Story’s Macao setting, employing 90 percent of the town’s population as extras. 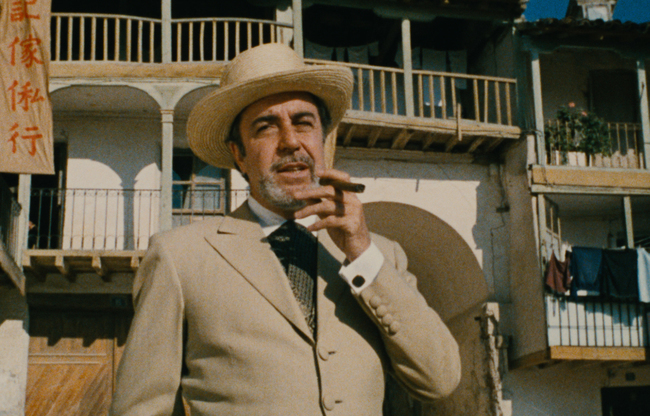 He noted, however, that the material shot there had been pieced together with footage taken in other small towns in the area, including Pedraza and Brihuega, and that, beyond that opening in the Plaza Mayor, no one seems able to conclusively identify which scenes were shot where, including director of photography Willy Kurant and his colleague Edmond Richard, who shot pickups with Welles. During an interview with François in 2002, Richard seemed to refer to Pedraza and Chinchón interchangeably. The Chimes at Midnight shoot was spread across even more Spanish locales: Ávila, Calatañzor, Cardona, Colmenar Viejo, Lecumberri, Lesaca, Medinaceli, Mostoles, Madrid’s posh Casa de Campo neighborhood, and a makeshift studio somewhere in that city. But Chinchón? This is where François differs from the owner of the Mesón, National Geographic Traveler’s guide to Spain, and even the town’s tourism bureau: there is no record of Welles having shot anything for the film there. This was not quite what I was expecting to hear. 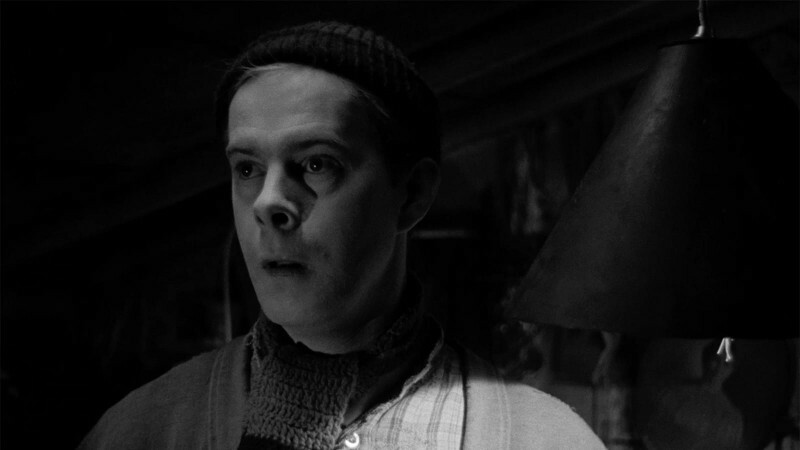 After our conversation, François and I continued to investigate, looking into the work of Spanish Welles scholar Esteve Riambau to see if he may have made any connections between Chinchón and Chimes that we had missed. We both came up empty. Considering the lack of available records and the hyperbolic tendencies of the figure at the center of this story, the vagueness of this information is understandable. Even if it now seems unlikely that any of Chimes was shot in Chinchón, Welles was spending a lot of time on the Iberian Peninsula in the mid-sixties, and The Immortal Story isn’t the only time Chinchón appears in his work. We also see glimpses of it in an episode of In the Land of Don Quixote, a travelogue he made for Italian television. As for the town itself, I can confirm a few things. Its architecture alone makes it a lovely day trip out of Madrid. The Mesón’s chalk wall of fame justifies a visit for any cinephile. And they make a pretty mean churrasco steak.